Wow! The cutest cabin ever! Custom everything! Beautiful 6 x 12 hand hewn square dove tail yellow pine cabin is perfect for vacation getaways or year round living. Underground utilities and high speed internet is a plus!Australian cypress hardwood floors, jeldwen thermal pane windows, 30 year architecture shingles, loft for kids or storage, exquisite tile bathroom, pretty creek and relaxing porch is calling your name. 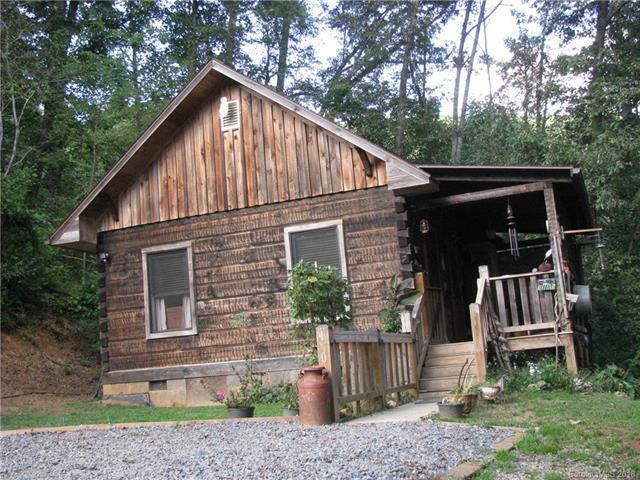 Included in the sale are 2 storage buildings, kitchen appliances and mountain serenity. Current survey available. If you are looking for just the perfect cabin, this is the one.